Mix up the ultimate vodka cranberry cocktail with a combination of cranberry infused vodka, tonic and delicious fresh limes! A Cranberry Lime Vodka Tonic is a perfect drink to enjoy on a hot summer day, or just with the girls! A vodka tonic is a classic cocktail that you can find at just about any bar you go to. Throw in a twist of lime and switch out regular vodka for cranberry infused vodka and you have the perfect cranberry lime vodka tonic. From Christmas to a hot summer day, it is the perfect cocktail! A good friend of mine gave me some cranberry infused vodka as a Christmas present. It was so delicious and the perfect base for my cocktail. I will have to make some of my own now that the original batch is finished. Want a quick how to infuse vodka tutorial? It is pretty simple and just requires a high quality vodka and what you want to infuse it with. From vanilla beans to cranberries, the options are endless. 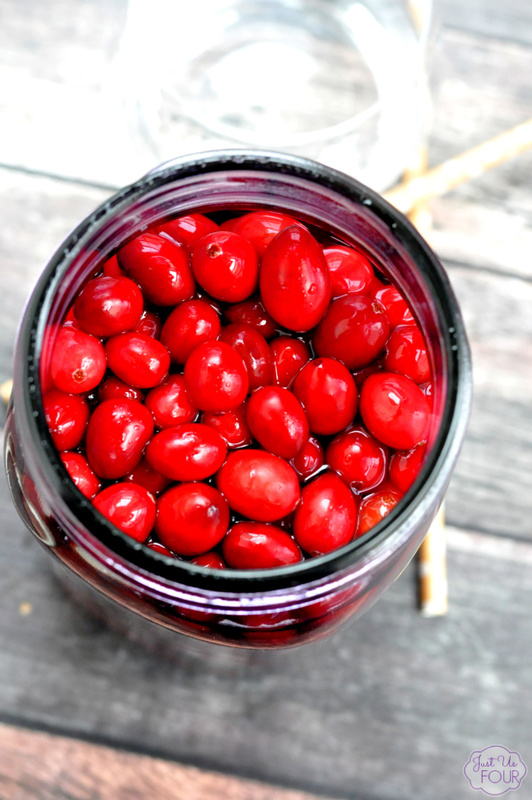 This recipe looks like a great one to try to create cranberry infused vodka. 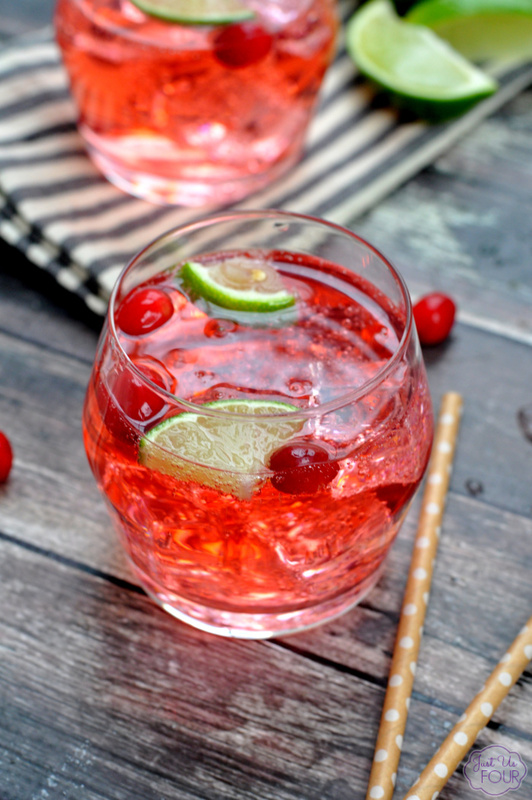 Cranberries are always associated with the holidays, but this vodka and cranberry cocktail is perfect to enjoy all year long! 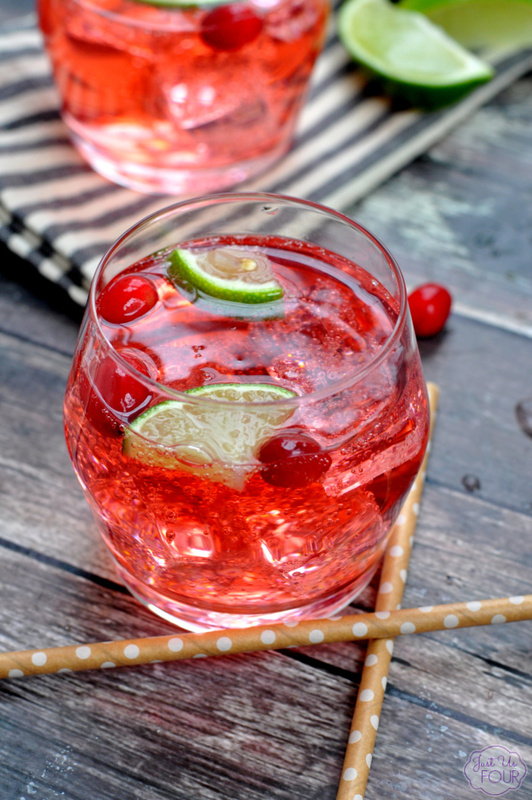 This cranberry lime vodka tonic recipe switches up your usual vodka tonic by adding in some great flavors! It will also make even the biggest vodka hater fall in love with vodka cocktails. To make this extra fun, grab some fresh or frozen cranberries and toss in the glass just before serving. This will definitely be one of our party drinks this summer. It is light and refreshing which is perfect for a warm summer evening. 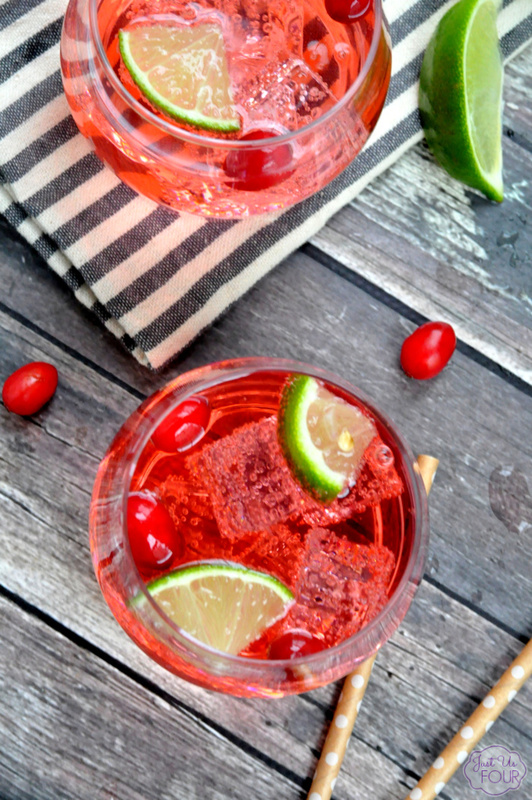 Create one of the best vodka mixed drinks ever when you combine cranberry infused vodka with tonic and limes. Top with tonic water and garnish with lime wedges. You can grab a few of the cranberries from the infused vodka and add them to the glass for an extra garnish. Even without them, the drink has a great color.